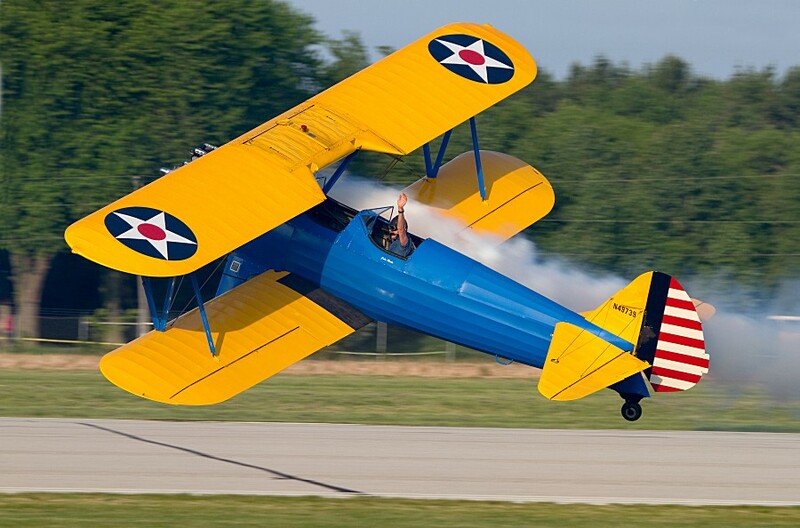 One of the regulars at Thunder on the Lakeshore (TotL) is John Mohr who makes his stock Stearman biplane do absolutely amazing things. Check out how close he is to the runway in this pass! There is no optical-illusion here - you can see the shadow of the wingtip and tail-wheel on the tarmac.